You might think you have strong will power – that is, until you see your office buddies snacking on piles of deliciously cheap, crunchy, cheesy, and sinful chichirias – all while you have bravely reinstated your diet after last weekend’s binge and been successfully (albeit painfully) fighting off the salty cravings constantly barraging you since, ehem, you started this diet 2 hours ago. 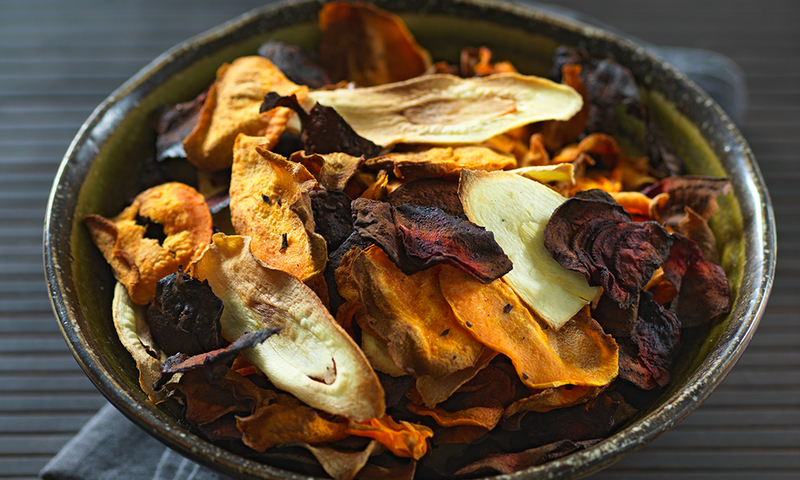 To help you extend your wits against this difficult battle, we’ve rounded up some easy to whip up snacks that you can run to when the going gets tough. And in case you’re wondering – yes, you do have to ready your arsenal of veggies…and culinary creativity. Pleasing to the eyes aesthetically because of its vibrant color and in terms of nutritional content (Vitamin A and beta carotene for better eyesight), carrots should become your best friend when your tastebuds are looking for junk food. 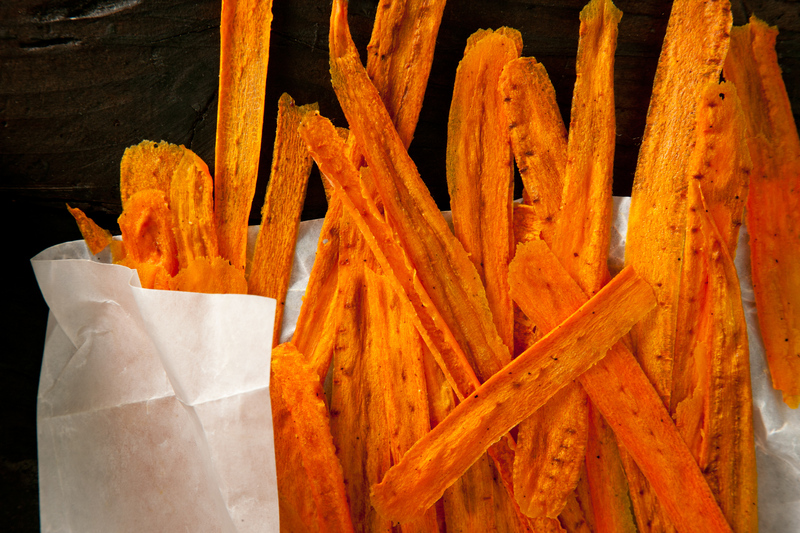 Chopped into chunky strips and fried or baked in olive oil and lightly seasoned with salt, pepper, and paprika (or hell, even cheese or sour cream powder), then sumptuously paired with a nacho cheesy dip or tangy mayo sauce – and you might just forget why you even bother buying those bags of chips that are 80% air anyway. 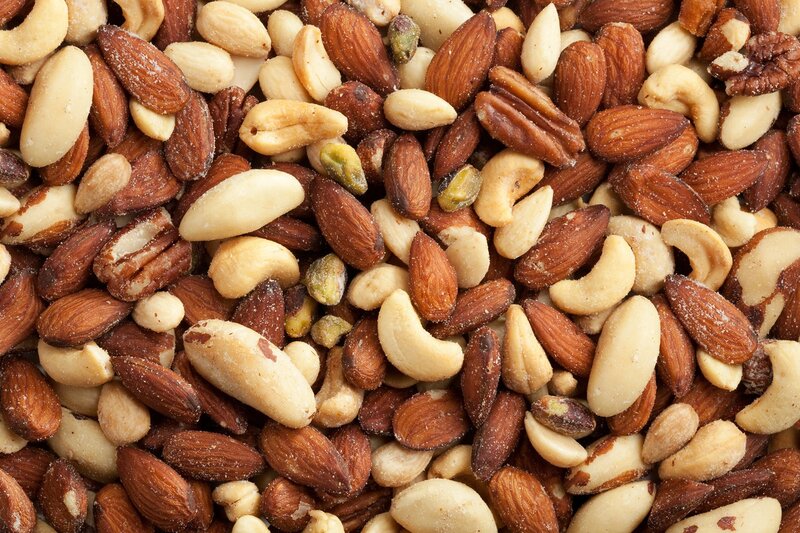 Filling for the tummy and bound to really keep you busy munching, nuts are an excellent source of fiber, protein, Vitamins B & E (and many other essential minerals), less the bad fats that are all too present in processed chips. Though almonds and cashews are pricier than your average snack, you can come up with your own personalized trail mix (yes the same kind that retails for a lotta bucks in upscale supermarkets) with some local goodies like pop beans, peanuts, sunflower seeds, banana chips, dried mangoes, and raisins to create a fun snack that you can eat in handfuls throughout the week! Sushi has become a Filipino favorite such that its ingredients have become widely available in local supermarkets. 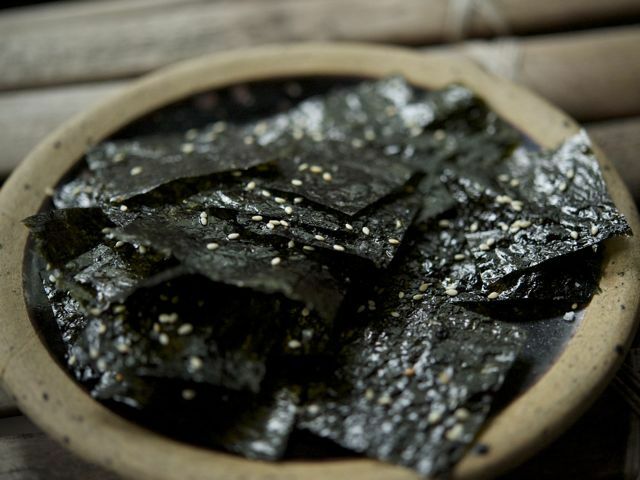 Look for those humbly packed sheets of nori (or the seasoned variety you’ll usually find in snack packs at Php 88 stores) and start munching on these dark green roasted seaweed which are rich in iodine (for a healthy thyroid), protein, fiber (one sheet has as much fiber as 1 cup of spinach), and Vitamins A, B12, and C. What more can you ask for from such an umami treat? Bonus tip: use the nori as toppers to your rice dishes to elevate them. Popcorn is healthy whenever you make an effort to keep it healthy and devoid of greasy, artificial butter and a heavy sprinkling of salt. But don’t go running off buying boxes of microwaveable popcorn now though. 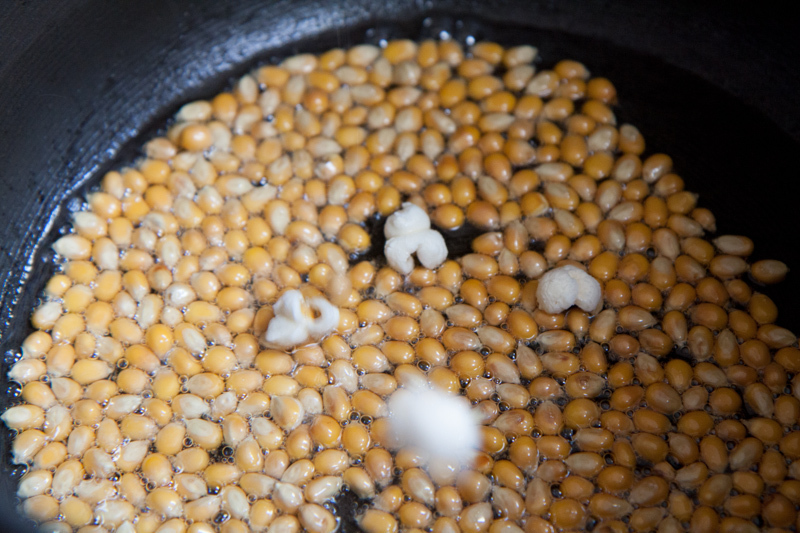 Instead, look for those modest bags of popcorn kernels that you will industriously pop over the stove, old-fashioned style. The crackling, popping sounds may or may not relieve your anxiety, but It might sound like a lot of work, but your body (and tastebuds!) will thank you for it. 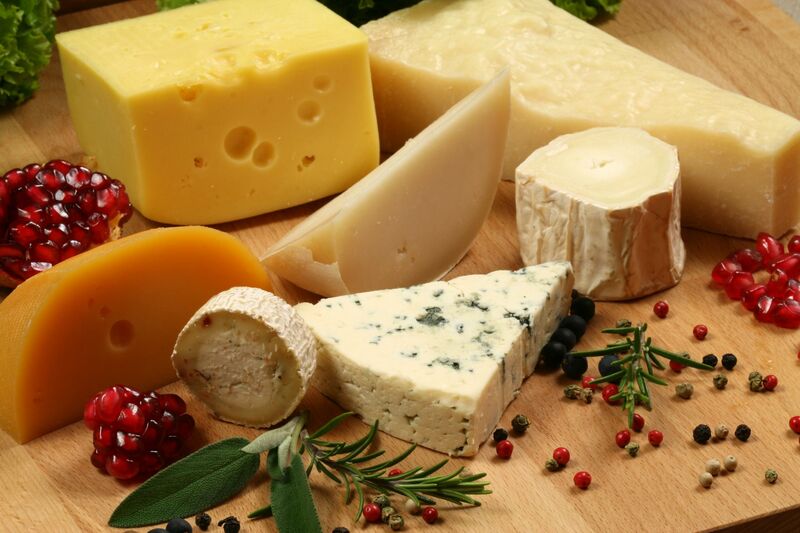 If your cravings are centered around cheesy, melty, things, why not go straight for the dairy delicacy instead? You can buy a cube of your favorite colby jack or cheddar and sprinkle it over your merienda and watch magic unfold when you pop it in the microwave, or just slice a generous portion and munch on it, maybe with a glass of wine? Who says wine and cheese are only for special occasions? You’re probably squinting your eyes rechecking what you read and totally nodding your head ‘no’ on this seemingly bland prospect. Surprise though, because tofu is actually one of the most versatile, yet protein rich, food items out there that you can creatively flavor to your liking. While deep frying them upon battering up with seasoned flour (aka flour with salt, pepper, and your other preferred spices) will yield the crispiest results, pan frying with less oil can also do the trick – just make sure to slice thinly and serve hot so you can maximize its yummy potential – especially once paired with a tasty dipping sauce. Going healthy really means going for veggies every chance that you get. Though it might make you groan, it actually just takes a little bit of effort to make mundane looking veggies feel like a gourmet snack. Slice ’em thin, coat with some egg wash and flour, and deep fry, grabbing some Japanese mayo or pre-made dressing to cut prep time for an easy baon. 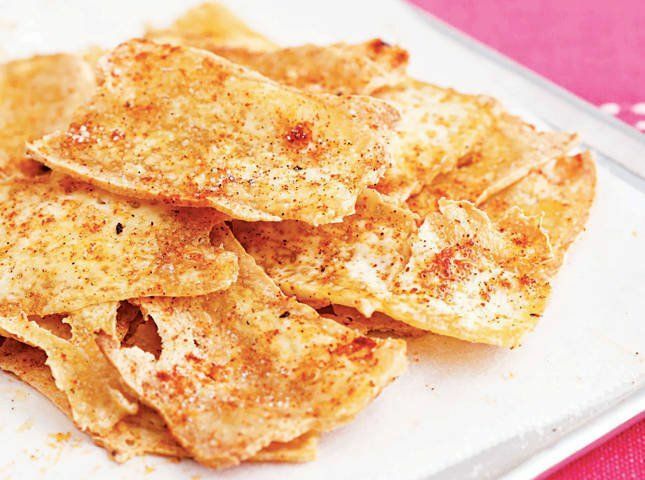 Better yet, consider baking them to a golden crisp to further cut down the grease without losing the crunch. Really, the possibilities are endless, considering the wide array of easy recipes available online. 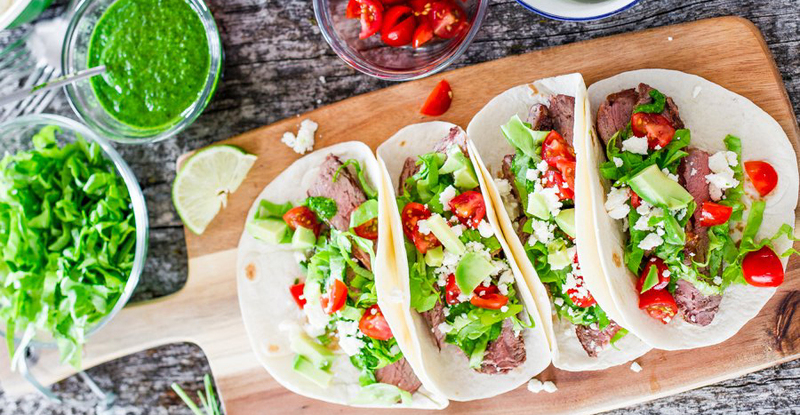 Tacos are a staple in Pinoy’s favorite grub for good reason – there’s crunch, color, and it’s customizable. Given that it is customizable, it’s now your diligent turn to pack in all the veggies that you know are good for you, then flavor it up with your go to dressing and a hearty sprinkling of grated cheese. Got any other healthy snack ideas? Share them in the comments!